The Xerox WorkCentre 5300 series is the perfect copier and multi function printing solution for your busy business. The Xerox WorkCentre 5300 series is designed to work at a consistently high standard and be reliable for your business needs. Print speeds of up to 35 prints per minute let you consistently tackle your busy printing needs. It saves you time with blazing warm-up speeds and automates routine tasks. This integrated design helps your business save time, and simplify your printing jobs. Its scan to email technology lets you automatically send your copies to emails as searchable PDFs. With full color scan and scanning folders it is easier than ever to make picture perfect scans more organized than ever. Black and white printing will save you money in a variety of areas over color printing alternatives. The 600 x 600 dpi prints will consistently looking stunning, without breaking the bank. The standard 520 sheet paper tray can also be upgraded to a 2000 sheet holding capacity for busier printing jobs. State of the art security measures have also been installed to ensure that your documents are safe. There are options for password protected PDF files and you can always install an optional security kit to truly protect every image on your copier’s hard drive. 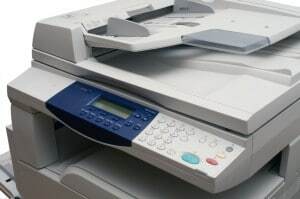 If you are interested in leasing the Xerox WorkCentre 5300 series, or would like to discuss other printing and copier solutions then please contact Copier Seattle. We carry the best brands and top of the line Xerox copiers for whatever your business needs. Our leases are the fairest around and our Copier Seattle representatives will help you get the machine you need.